This Bike Pic Friday we are showing you another biker chick ready for all the fun rides scheduled this weekend. As summer slips away, click and check out all these fun bike events this Friday through Sunday! 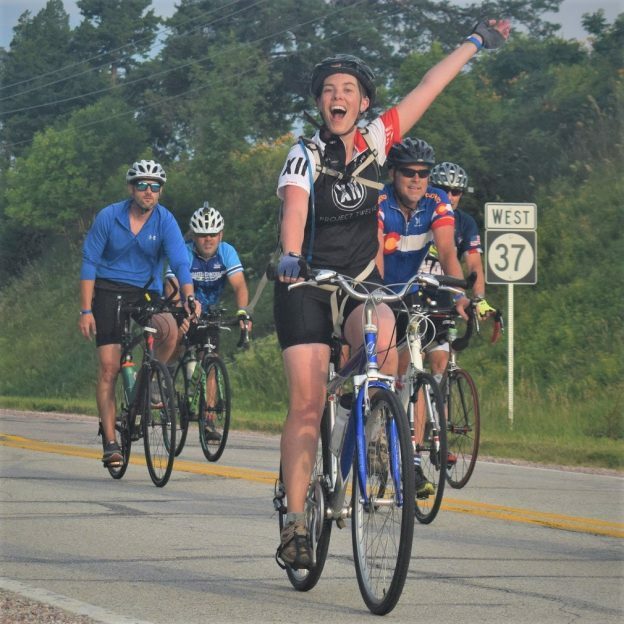 The photo was taken on the big ride across Iowa, see more photos at RAGBRAI 2018. This entry was posted in Picture of the Day and tagged Across Iowa, bike guide, Bike Iowa, cyclocross, family memories, Iowa, Iowa Bike events, MN Bike Events, Mountain Biking, picture perfect, RAGBRAI, ride right, road biking, Saturday fun., Sunday fun, touring, Wisconsin bike events on September 14, 2018 by Russ Lowthian.